Mary and Emma have become close friends over the past few years. When Emma Bravo Lommasson opened her wedding gift from Mrs. Lennes, she was stunned by what was inside. The gift was a beautiful glass serving platter decorated with intricate silver inlays. Mrs. Lennes was the wife of Professor Nels J. Lennes, the head of UM’s Department of Mathematical Sciences at the time. He built the home at 1325 Gerald Avenue, which is where UM presidents have resided since 1974. Emma was Professor Lennes’s secretary and lived and worked on the second floor of the house. Emma loved the platter, and put it to use serving many meals over the years. But when she moved into her current apartment, it was put in a drawer and rarely used, if at all. Then one day this past January, an idea popped into her head. The Mary she is talking about is Mary Engstrom, the wife of UM President Royce Engstrom. Mary, who met Emma in 2010, is honored to be entrusted with its care. The original plan was for the Engstroms to take it with them when they retire, but Mary believes it should stay in the house. For those who aren’t familiar with Emma, she’s a UM treasure. In 1929, she became the first woman from tiny Sand Coulee to attend the University, and she graduated with a math degree in 1933. 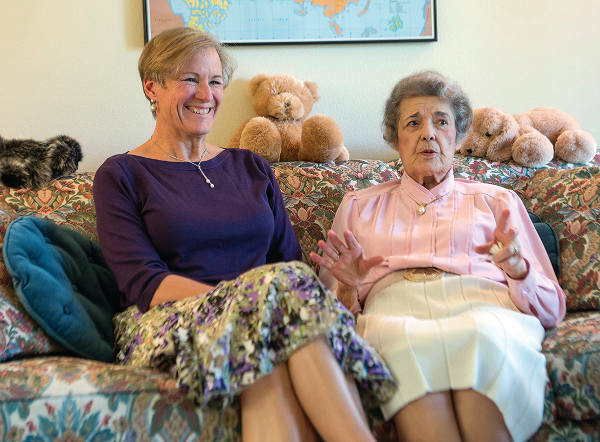 After a stint as a school teacher, she came back to Missoula in the late 1930s and began working for Professor Lennes, not only as his secretary but also as an instructor. She taught one math course per quarter, and once taught Lennes’s entire course load for a term. She earned her master’s degree in 1939. She worked in the Office of the Registrar until 1977, when she retired. However, she stayed on as an adviser until 1980. She has known all but four of UM’s seventeen presidents. In 2001, the building formerly known as the Lodge was renamed the Emma B. Lommasson Center, which is an honor she still can’t fathom. Emma, who playfully calls herself “The Old Lady,” credits her youthful spirit to working with college students all those years. She’ll turn 102 in December, but when talking to her or seeing her stroll down the hall at her apartment building, you’d never guess her age. Though they’ve only known each other for a few years, Emma and Mary have become close friends. three-quarters of a century ago. Mary plans to use it for a dinner party in September with a special guest, retired U.S. Supreme Court Justice Sandra Day O’Connor. 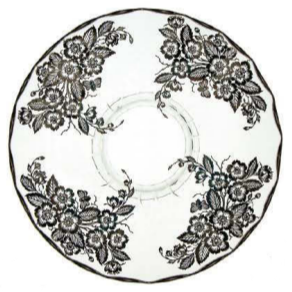 “I’m so glad I still have my brains to realize what happened with this platter,” Emma says. “Little did Mrs. Lennes know what was going to happen with her gift. It was given to me in the house, and now it’s back there after all these years.